​The 2018 NFL Draft is now two months behind us and ​many of the college game's greatest from a year ago are now getting ready for the upcoming season. However, plenty of other players were left out of April's draft. On July 11, the NFL will be holding a supplemental draft that will take place via digital communication. Of the remaining players, teams are locked in on two in particular. Now official: NFL’s supplemental draft will be held July 11, per league official. NFL teams, as @wojespn might say, have a laser and are locked in on Western Michigan CB Sam Beal and Virginia Tech CB Adonis Alexander. 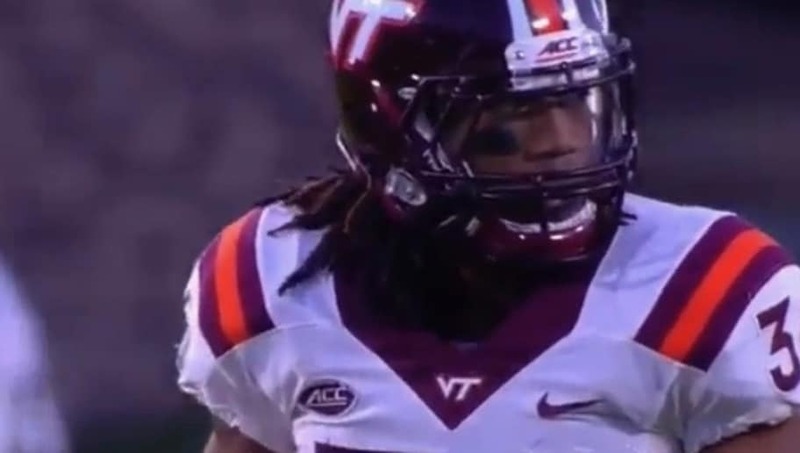 Adonis Alexander played three years with the Hokies where he had 125 total tackles and seven interceptions. The 6-3 205 pound cornerback applied for the draft after being ruled academically ineligible to return to Virginia Tech for his senior year. He could very well be the highest supplemental pick since ​Josh Gordon back in 2012. Many saw Alexander as a potential first round pick in the 2019 NFL Draft. Fortunately for teams, Alexander will be available a year early and from the looks of it, he seems more than ready for the next level. ​​Alexander has worked out for 26 of the league's 32 teams including the Colts, Chiefs, Saints and Jets. His stats at the NFL Combine included a 4.61 at the 40-yard dash and a 35.5 inch vertical.